As life changes, it’s often necessary to relocate to a smaller home, retirement community, nursing home or the home of a friend or relative. Or perhaps you need to liquidate certain belongings in a timely manner. Where do you start, and how do you and your family handle these events during what may be a stressful and overwhelming situation such as a divorce, an illness or the death of a loved one? Caring Transitions is your Total Solution. We manage Senior Moving, Downsizing and Estate Sales, including full or partial liquidations of personal and household items at the best prices. 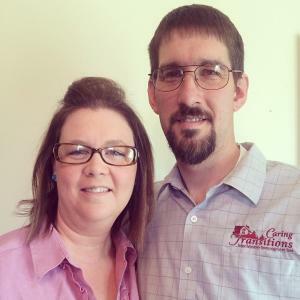 Caring Transitions of Wichita - One Day Only Picker Sale! One Day Only PICKER SALE! Come see the treasures in this home and haggle with our staff! This will be a Super FUN, Super Quick sale and we will be done at 5pm! One Day ONLY Estate Sale located in Wichita, KS on Friday, July 20 from 9am to 5:30pm. MORE DETAILS TO FOLLOW. PICTURES POSTED SOON. Don't miss the online auction on ctbids.com associated with this sale! One Day ONLY Estate Sale located in Wichita, KS on Friday, July 20 from 9am to 5:30pm. MORE DETAILS TO FOLLOW. PICTURES POSTED SOON. Caring Transitions of Wichita - Blackwell Blowout! Caring Transitions of Wichita - Mead Street Finds! This company has posted a total of 182 estate sales. Only the most recent 50 sales are shown.